This Adjustable LED satin silver round head floor lamp with polycarbonate lens is a simplistic design will add a modern touch to any room within your home. 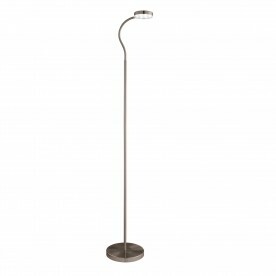 The floor lamp features a circular design base with slim stem and adjustable arm and lamp head all in a sleek satin silver finish. 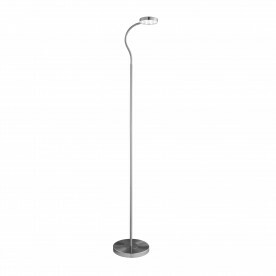 The stylish yet practical design allows you to direct light where required through the polycarbonate lens, giving off a warm white light with the latest energy saving LED technology.